Peyia, Paphos - This beautiful home is located on the Western end of Peyia, close to the Sea Caves and the Akamas Preserve and only 5 minutes from Coral Bay. 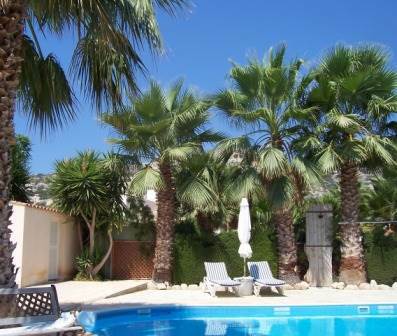 It sits in a picturesque location with views of the mountains and sea. The large plot has a mature garden with full grown trees all around the house. Here you can live away from the bustle of the city and yet still enjoy the convenience of being close enough to all amenities and entertainment! If you enjoy tranquil surroundings away from the crowds then this is the home for you!